Through specific choices and targeted strategies, VELP has established a strong position on the world market and a reputation as a company that puts its philosophy of "constant commitment to knowledge development" into practice. Our mission is to transform our commitment to the pursuit of knowledge into the ability to develop innovative “Customer Oriented” solutions. The key to our success? To design and create increasingly new solutions whilst continuing to renew existing products. This goal is pursued through ongoing investments in R&D activities, the continuous improvement of our know-how and the development of mutually beneficial relationships with universities, research centres and R&D departments. 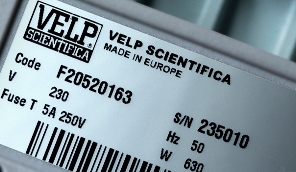 Vitality, innovation, attention to detail and an infinite passion are the fundamental values of VELP Scientifica. Originality along with a unique combination of ideas, creativity, enthusiasm and concreteness are at the heart of our spirit; vitality spurs us to develop new solutions for the everyday needs of laboratories. By broadening our expertise and know-how and conducting intensive research, we are able to develop exciting new ideas and innovative, high-performance products. “Attention to detail” is a key aspect of Company philosophy and of our daily commitment and lies at the heart of the standards of excellence that VELP has achieved. The Customer is another key factor and plays a fundamental role in Company philosophy. The development of a strong business relationship, the sharing of a common goal and a similarity of spirit are binding factors that make for a mutually beneficial partnership. Proverbial Italian creativity plays a crucial role in designing and developing VELP products, along with innovative design and a distinctive style that combine harmoniously to fulfill the needs of practicality and functionality. Last but not least is the infinite passion and unyielding enthusiasm of an outstanding and dynamic team. These are the values behind the world of VELP which we invite you to explore. A world that is constantly evolving, a world that guarantees continuous and unsparing commitment to the development of new solutions and the fulfilment of increasingly ambitious goals.